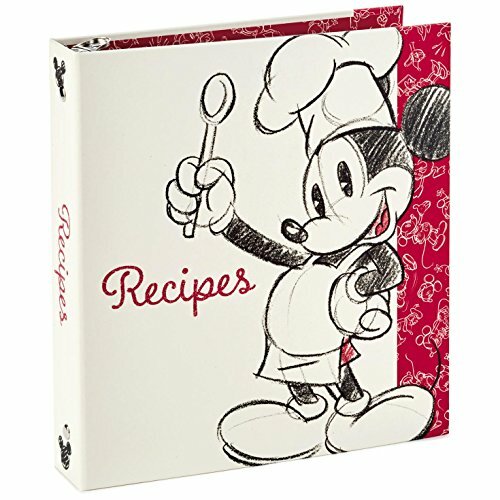 This classic Mickey Mouse recipe binder is the perfect place to organize the recipes that make magic happen in the kitchen. In addition to plenty of pocketed pages to hold recipe cards, the book includes handy tab dividers and a helpful reference section. Printed endliners and ten designed tab dividers. 36 4" x 6" designed recipe cards with 20 double-pocket poly sleeves to hold a total of 80 recipe cards. One poly-pocket page and five cooking reference pages.